Jane Eyre (first published 1847). Charlotte Brontë (English, 1816-1855). This edition The Modern Library, 1944. Portrait of Jane on front cover. Color illustrations by Edward A. Wilson. First edition. 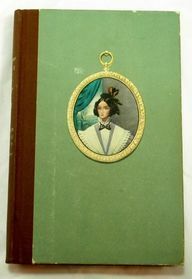 Original slipcase with portrait on the front.